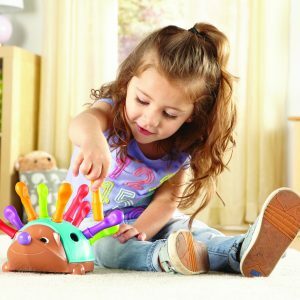 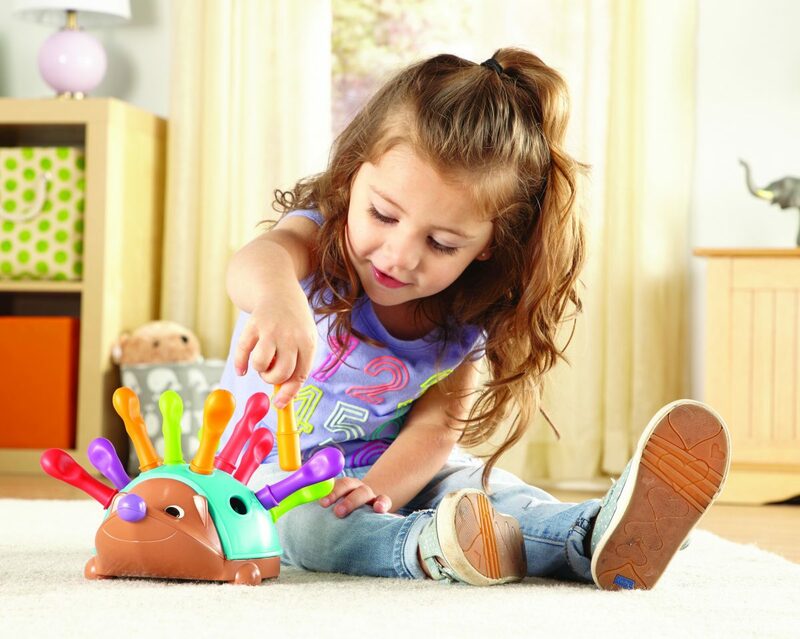 Learn colour recognition and sorting skills with Spike the two-piece hedgehog. 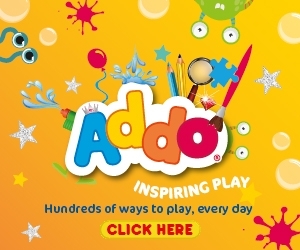 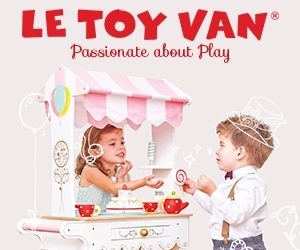 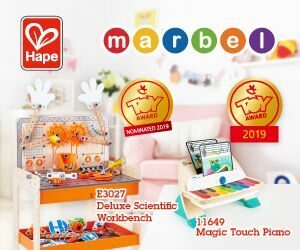 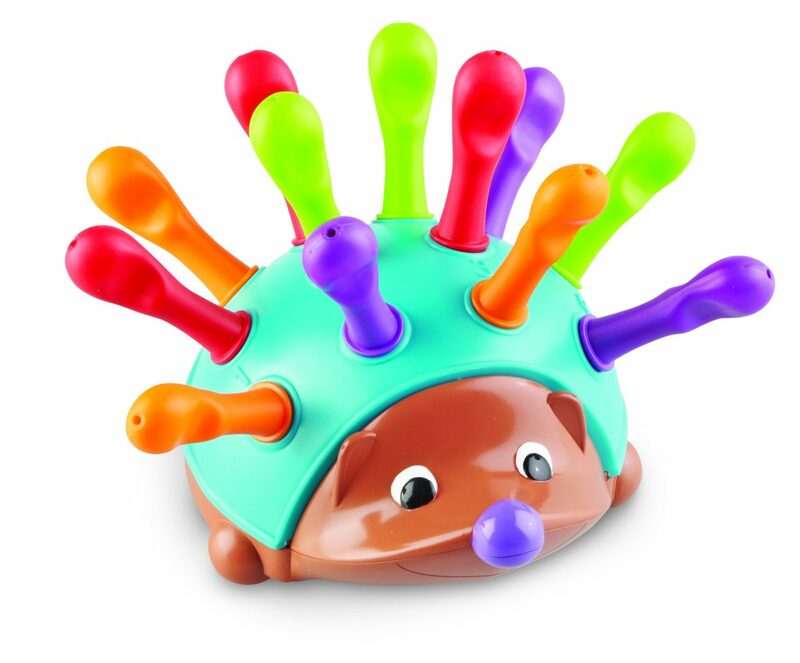 The toy includes 12 soft plastic quills of different colours (red, orange, green, purple) that are inserted into holes in Spike’s back and can then be removed again. 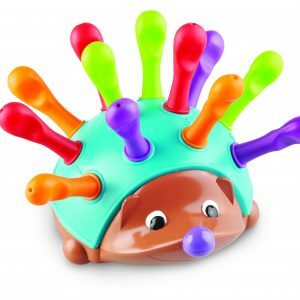 The quills can be stored inside the hedgehog when play is finished.